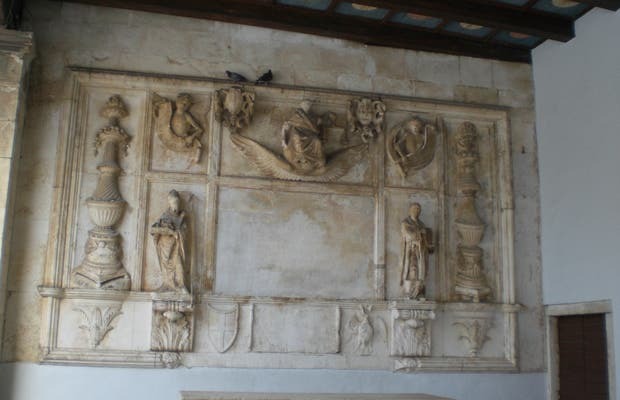 The city of Trogir is also the former palace of the governors. Trogir is a city that was very well known for business when it was part of the Venetian empire. Located on the Adriatic coast, it was one of the most important trading ports in the region. Today, as a beautiful medieval city, it is a UNESCO world heritage site. The town hall is located in the same small square as the beautiful church of St Lovro, or San Lorenzo. The old building holds many official ceremonies. The sculptures on the walls represent the ancient rulers of the region and the lion is the symbol of defense for the city. It was built in the fifteenth century.